When you think of the history of Isle of Palms, it's unlikely that you think past its early reputation as the Coney Island of the South, and truthfully, not too much did happen on the six-mile island formerly dubbed Long Island. But the island was indeed the site of some Confederate activity during the Civil War, and evidence to that effect remains submerged off the coast even now, perhaps some still hiding gold or other sunken treasure. (Well, it's certainly fun to think about!) As we poked around in the maritime history of Civil War-era Charleston, we found some pretty interesting stuff. 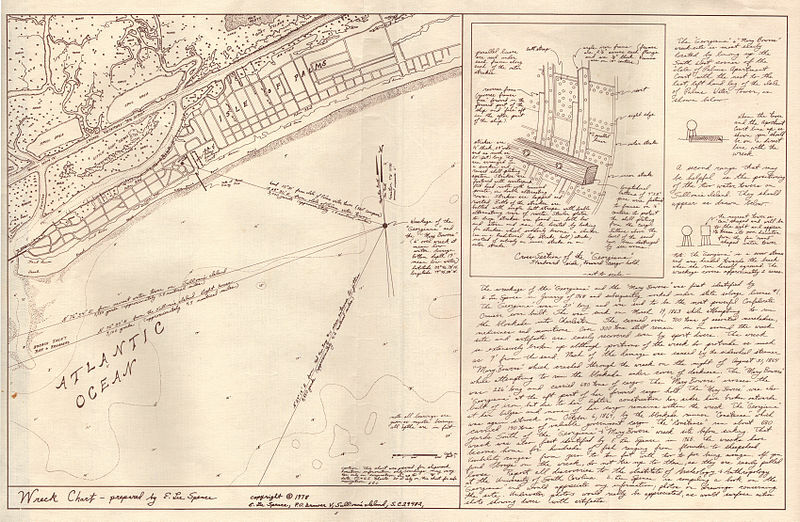 Join us now in Part I: Sunken Treasure and stay tuned for Part II about Charleston's Stone Fleet. According to shipwrecks.com, the CSS Georgiana was the most powerful Confederate Navy cruiser ever built to date when she was hit hard by the Union blockade outside the Charleston Harbor on March 19, 1863. She sunk a mile off the coast of the Isle of Palms and much of the precious cargo--medicines, munitions, uniforms for the Confederate soldiers--never made it off the ship and there was possibly even some gold under the heavy cargo. 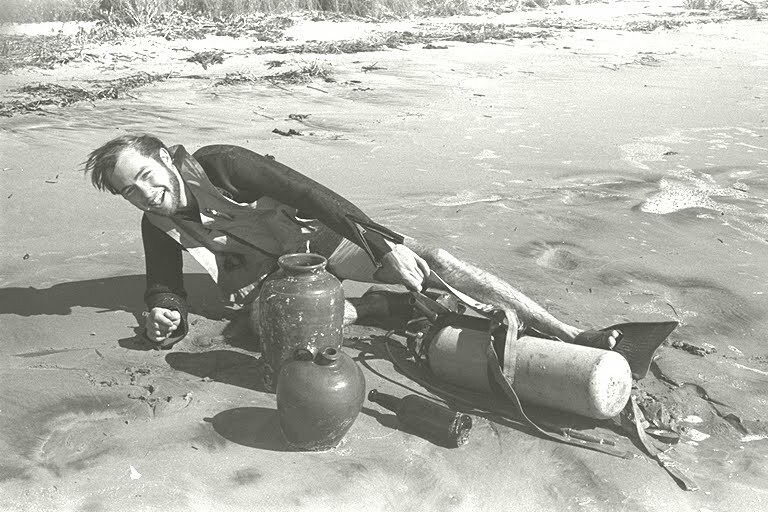 According to E. Lee Spence, the local diver who discovered the shipwreck 102 years later to the day, the cargo belonged to the blockade running firm, John Fraser & Company. The company was run by Charlestonian George Alfred Trenholm, who has been speculated to be the person Margaret Mitchell's Gone with the Wind character Rhett Butler is based on. Indeed, found in the shipwreck were brass sewing pins, which were highly sought after during the Civil War and one of the few specific items named as smuggled through the blockade by Rhett Butler in the book. E. Lee Spense has a very heavily researched position that you should definitely check out if you're interested. Of course, this wouldn't be the first Charleston connection to Gone with the Wind, right? Surely, y'all remember the story about Grace Piexotto, the famous madam of Charleston's red light district Dutch Town who was said to be the person Belle Watling's character is based on. 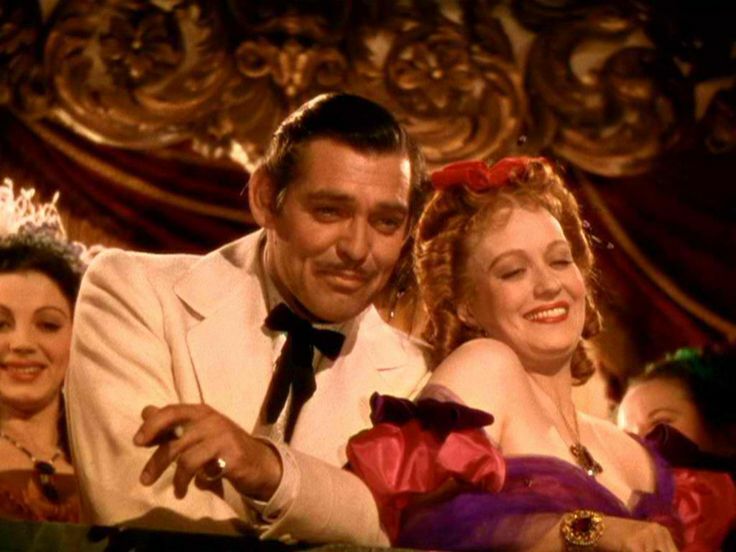 Alas, as Margaret Middleton Rivers Eastman points out in Old Charleston Originals, while there are some similarities between the fictional character and George Alfred Trenholm, the "real Rhett Butler" probably did not exist, much as our romantic selves would like to believe he did. While there may have been no "real Rhett Butler," there were certainly real Confederate boats that served as blockade runners during the Civil War: England still wanted our cotton, and Charleston and the Confederacy needed supplies. And the wreck of the Georgiana was right in some of their unfortunate paths. 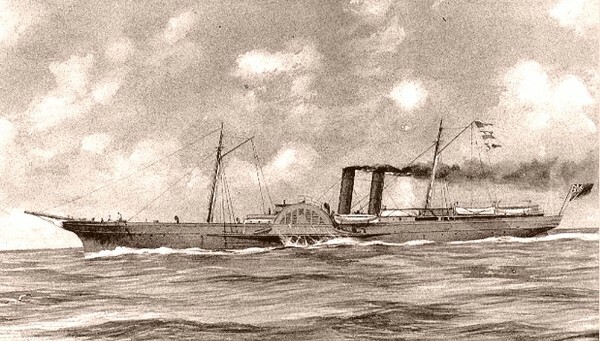 Georgiana's first victim was the blockade runner Norseman; the iron-hulled steamer was running out of Charleston at high tide when she smashed into the sunken hull of the Georgiana. The ship was too badly damaged to make it to shore to be beached, but all of the crew was able to escape. Some of the cotton cargo floated to shore and was salvaged, but the rest of the cargo, including rumored gold, got buried quickly under sand. Wonder if it's still there? On the day he discovered the Georgiana, E. Lee Spence also discovered her second victim, the iron-hulled blockade runner Mary Bowers. The Mary Bowers hit the wreck at high tide on August 31, 1864 and even her experienced captain could not reverse the engines to free the ship; the Mary Bowers essentially laid down diagonally across the Georgiana and stayed. She had just left Bermuda two days earlier and was likely carrying up to 680 tons of coal and merchandise, and probably enough gold to pay her crew; whether this was ever recovered is unknown. Just over a month later, the third victim hit the Georgiana. The Constance Decimer was traveling from Nova Scotia with 160 tons of arms and munitions and enough gold to pay her crew as well as purchase goods for her return trip. The Constance was long and low in the water, painted a soft grey to blend in with the sea fog; she was specifically built as a blockade runner and only drew six feet of water. When she hit the wreck, the captain thought he was too close to shore and was running along a shell bed; he turned and headed for open sea not knowing that the hull had been severely damaged. As the water rushed in , the crew ran for the boats and rigging. The deck mate decided to go below and rescue the gold from the captain's office, but the heavy chest weighed him down and he went under with the ship. His was the only death in all four wrecks. Nothing from the Constance was saved. The ship settled 640 yards due south of the wrecks of the Georgiana and Mary Bowers. Today, the wrecks of the Georgiana and Mary Bowers sit under only five feet of water at low tide, off the beach at 29th Street on the Isle of Palms. None of the gold suspected of being on board any of the four ships has ever been recovered. So, here's what we want to know: who's got a boat? Living on the Isle of Palms! Anybody get all tingly thinking about all of the possibilities just sitting off the beach of the Isle of Palms? Enough to buy a house on the beach? 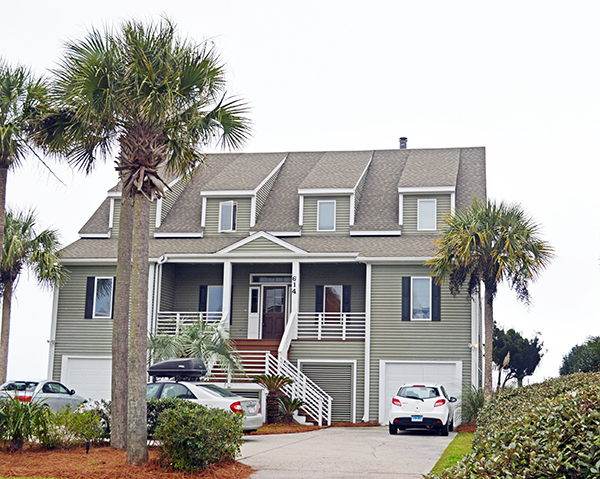 Our own Ruthie Smythe just assisted the buyers in the purchase of this beautiful oceanfront home at 614 Ocean Boulevard. Ruthie's family has a home out on the island as well, so she really knows her way around! Give her a call at (843) 729-1290 to see what she can find for you.